Succession Planning: Is an ESOP the Right Tool for Your Business? Home > Blog > Operations Management > HR Management > Succession Planning: Is an ESOP the Right Tool for Your Business? In our last article, we talked about the importance of planning early and adequately for business succession. Failure to do so can have serious negative implications for both the business entity and the owner. One of the first steps in succession planning is identifying your primary succession goals. This will help you determine whether you should focus on selling your business to an inside (employees and/or family members) buyer or an outside (a competing or complimentary business) buyer. If you decide to sell your business to insiders, you may want to consider doing this via an Employee Stock Ownership Plan. 1. Control the timing of your exit from the business. 2. Create a steady stream of retirement income. 3. Realize significant tax benefits. 4. Motivate and reward your loyal employees. There are approximately 11,300 ESOPs in the U.S. today, employing about 13 million employees, reports the National Center for Employee Ownership (NCEO). In a study conducted by Georgetown University, it was determined that average ESOP company revenue grew by 15.1 percent during the Great Recession, while non-ESOP private company revenue dropped by 3.4 percent. In addition, ESOP companies added employees and experienced overall wage growth during the Great Recession, while non-ESOP companies experienced the opposite during this time. With an ESOP, your employees can purchase a minority (non-controlling) interest in your business over time, and you can gradually liquidate your ownership at whatever pace you desire. This enables you to maintain a controlling interest in the business and remain active in management and operations for a period of time after the transition begins if you like. Meanwhile, the payout from the sale of the business can be structured to meet your needs for income after the sale, whatever they might be—whether this is retirement, the purchase of another business or something else. The first step in creating an ESOP is to establish a tax-exempt trust into which your company will contribute either cash or ownership shares. Cash contributions—which are tax-deductible to the business (up to certain limits) and tax-deferred for employees—are used to buy stock on behalf of employees, who pay no income taxes until they receive distributions from the ESOP at a later date. Company profits contributed directly to an ESOP are taxed at the long-term capital gains rate of 15 percent (through the end of this year, pending negotiations over the fiscal cliff). Conversely, profits that are distributed directly from the company to the owner are taxed at ordinary income tax rates, currently as high as 39.6 percent (also through the end of this year). Many owners who have successfully used ESOPs to sell their companies to employees say that one of the biggest benefits is the positive impact ESOPs have on employee loyalty, productivity and morale. Studies show that employee-owners often work harder and smarter than non-owner employees, and they also tend to exhibit greater loyalty. Companies with loyal and productive employees may achieve a higher business valuation and, as a result, ultimately sell for a higher price. § What are your primary goals—both personal and business-related—for the transition and the ESOP? § When would you like to begin the transition process and eventually exit the business? § How much money do you need to realize from the business’ sale to achieve your post-business goals (retirement, buying another business, etc.)? § What is your business’ value? § Do you have the right mix of employees who will thrive as employee-owners—especially managers and executives who can lead the company forward into the future? Los Angeles and Southern California CEOs and CFOs who want to transition their businesses to employees should seriously consider the potential benefits of an ESOP. However, the details of planning and executing an ESOP can be complex, which makes it critical to assemble an experienced team of experts including an attorney, banker and CPA. 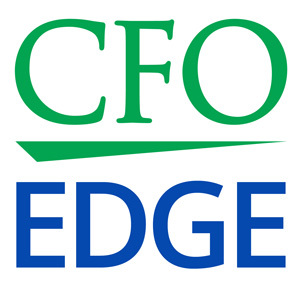 An experienced outsourced CFO services provider can also offer valuable assistance in the ESOP planning, preparation and execution phases.